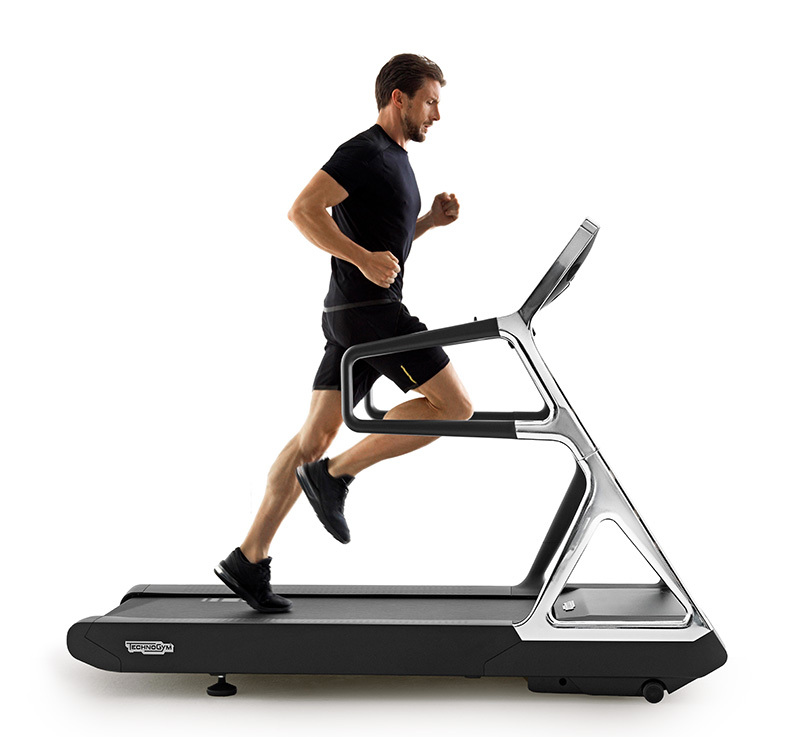 The first treadmill for home use designed to improve your run. 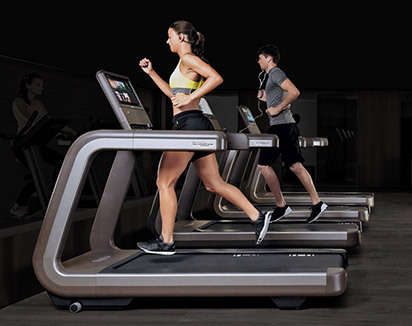 At Salone Internazionale del Mobile, the Home Decoration and Furniture Exhibition in Milan, Italy (Hall 16 – Booth C36) Technogym presents MYRUN TECHNOGYM, Technogym's new iconic product for home training. 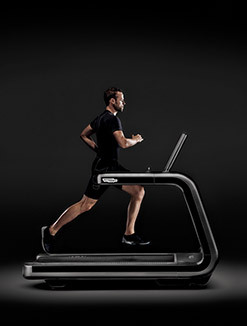 It is a revolutionary treadmill, designed by runners for runners; a product created to offer the best training experience, personalised programmes and running technique feedback. 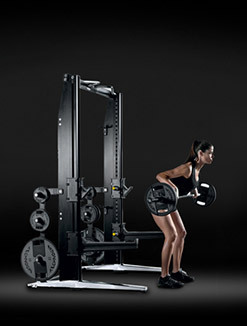 MYRUN TECHNOGYM can be integrated perfectly in any environment, thanks to its minimal, stylish design combining top performance with a compact footprint and high-tech, top quality, sturdy materials, the fruit of Technogym's R&D in sports applications. 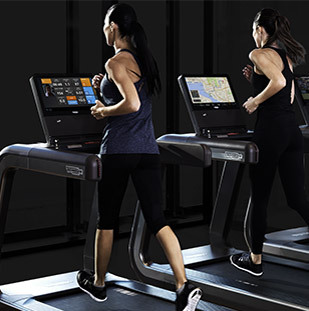 MYRUN TECHNOGYM is the first digital solution for running to integrate a treadmill, a dedicated app and a tablet. 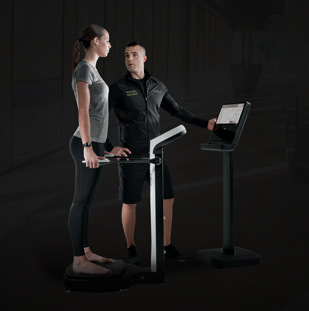 RUNNING RATE (Patent Pending) is the innovative algorithm studied and developed by the Technogym Research Centre to improve running quality and efficiency by supplying interactive feedback to the users about their stride, cadence and oscillation. 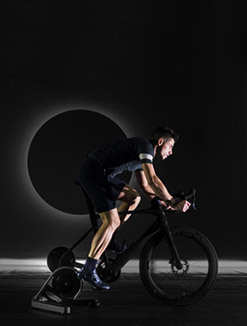 Thanks to this visual feedback system, every user will become faster and more efficient, adopting the running cadence most suited to his or her speed, finding the most effective and safest stride and minimising oscillation and body mass centre movements. Your running rhythm will turn into music. The RUNNING MUSIC function will select from your tablet the music tracks best suited to your running pace. When you take off your headphones and wish to enjoy some peace and quiet, MYRUN TECHNOGYM offers outstandingly smooth, low-noise operation even at its top speed of 20 km/h. 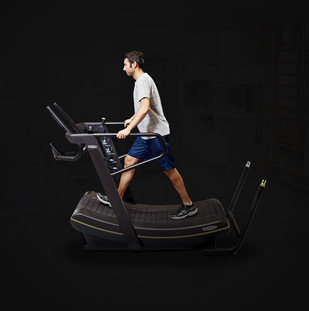 MyRun is the treadmill with the widest usable running surface with respect to the equipment's overall footprint. This innovative running surface adapts to the user's characteristics, offering just the right mix of cushioning and responsiveness, according to every user's running or walking style: softer response for beginners, harder setup for high-performing runners. 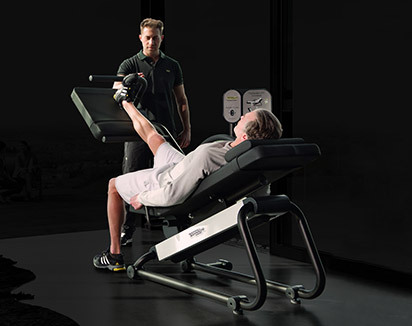 With MYRUN TECHNOGYM you can plan exercises, training sessions or personalised programmes. 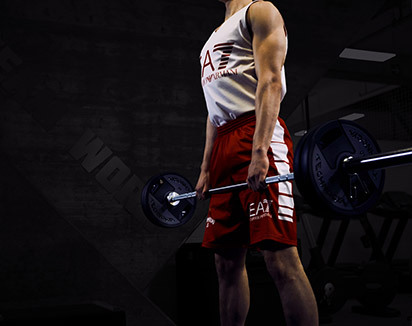 The dedicated app includes specific programmes to improve your running technique, interval training programmes to increase your speed and endurance, and Constant Pulse Rate (CPR) routines. 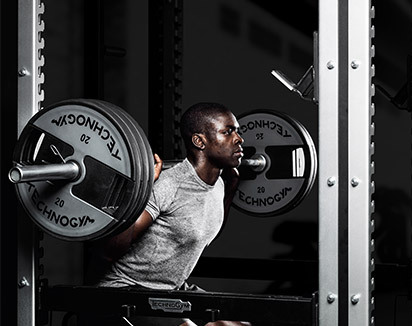 Additionally, users can create fully personalised training routines according to their condition, goals and available time. 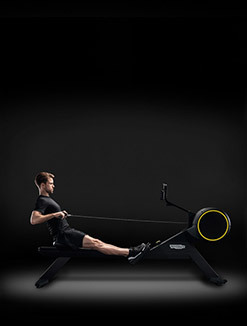 MYRUN TECHNOGYM is a home fitness product, the result of 30 years of experience acquired by Technogym in the field of sports and athletic preparation; with its top speed of 20 km/h and 12% maximum gradient, it features the same specifications as professional models. Its product design and packaging make installation a quick, easy experience. 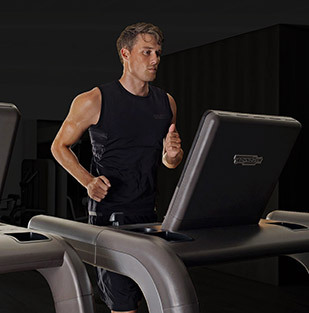 To use your treadmill, just download the special MYRUN TECHNOGYM app to your tablet, place your tablet on your treadmill console, and immediately start improving your run. Technogym also presents its Personal Line with Unity, combining design and technology, andWellness Ball active sitting, the 'healthy seat'. 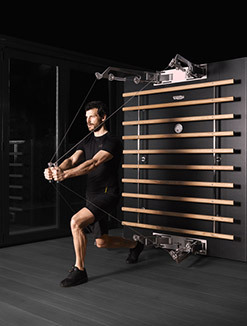 Personal Line, the result of the partnership between Technogym and the designer Antonio Citterio, is the ideal solution to work out when in hotels, at the office and in wellness centres. 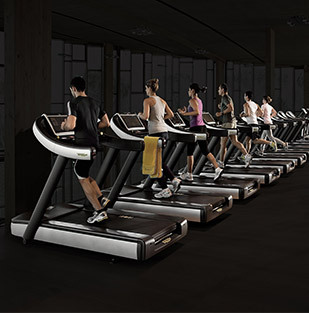 The line includes the RUN treadmill, RECLINE, the exercise bike with ergonomic backrest, CROSS, the elliptical trainer for smooth, no-impact movements, and KINESIS, the designer training station to improve muscular toning, flexibility and balance. 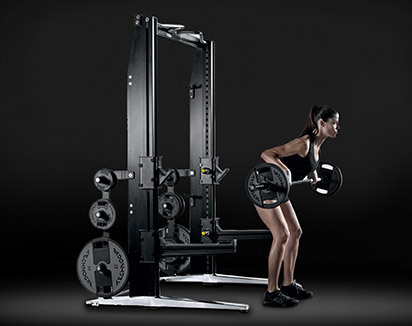 UNITY, the new multimedia console by Technogym, integrates with PERSONAL LINE to combine design and technology. By logging on to UNITY, users can connect PERSONAL line equipment to their tablets to enjoy a personalised experience with a special training programme integrating personal data and contents and favourite apps, websites and TV channels. 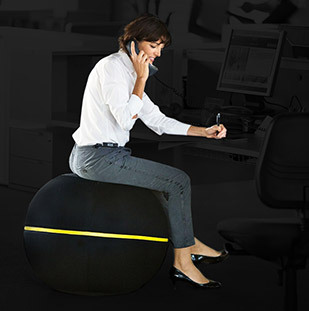 Wellness Ball Active Sitting is the exercise ball that has revolutionised the concept of sitting at home and at the office. 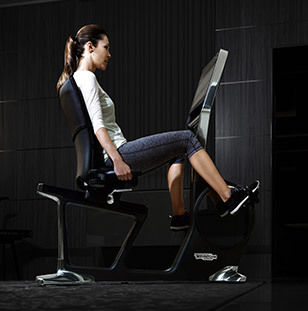 Designed to help users fight sedentary lifestyles and be constantly on the move, even when sitting at home or at their desks, it ensures a correct sitting position, improving muscular flexibility and core and lower limb muscle toning.